Using your pretzel sticks and structures, create various structures and buildings. For best results, allow your children to create their own structures. This will allow them the opportunity to apply some creativity as they learn the art of engineering. Not only is this project incredibly simple, but it's also incredibly edible. Which is pretty much a win in my book. This project will teach your littlest learners about the wonders of engineering. Together, you can use your imagination to build and construct various structures. And once you're all done, the cleanup is pretty simple! 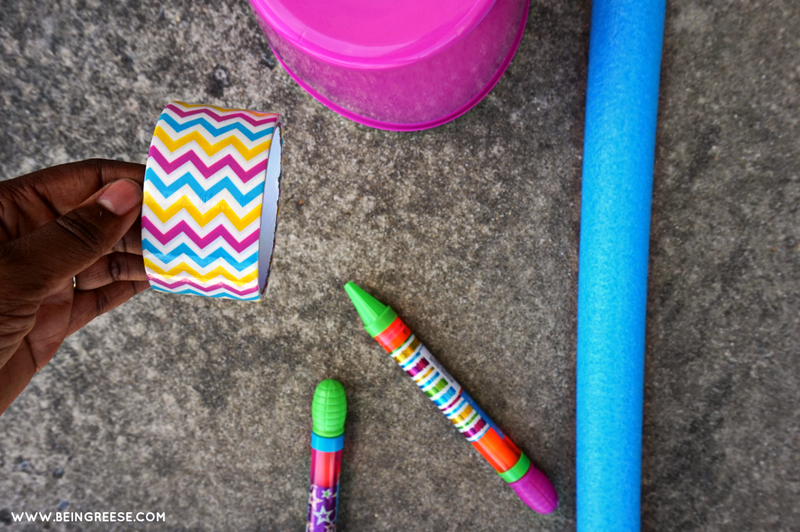 Using a sharp knife, cut your pool noodle in several pieces. For best results cut several different sizes. Once you have cut the noodles into pieces, cut each piece in half. Try to cut the lines as straight as you can so the pieces are even. 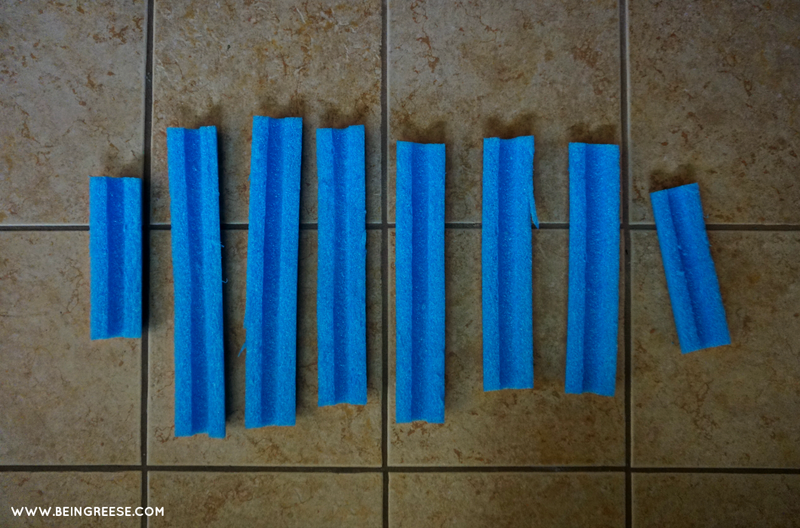 Once you're done cutting, tape your pool noddles to the fence, allowing a slight overlap of each piece so the water can trickle down each layer of the noodle. Place a bucket at the bottom of the waterfall, fill another bucket with water, and get ready to have a wet and wild time! 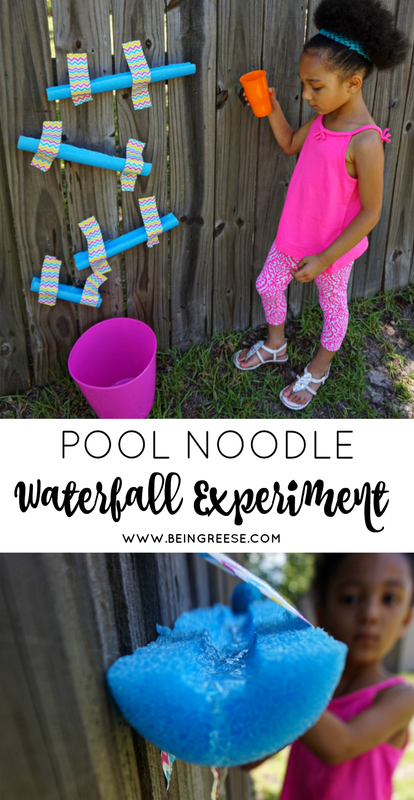 STEM Tip: Use various cups, bowls, and even a water squirt to experiment with the waterfall. This project will teach your little's all about gravity. It's the perfect way to cool down on a hot summer day, while also learning how water moves. Before you dive into this game, sit down and write down some simple math problems on a paper and work out the answers. Write as many or as little as you'd like. Then using markers, write the answers to your math problems on white paper plate. 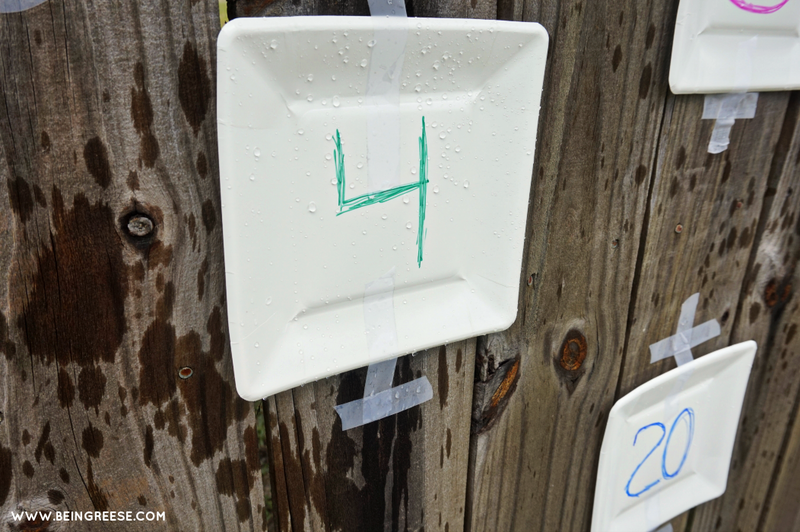 Tape the plates to your fence and arm your kiddo with a water gun or squirt stick. Using your sheet of math problems, call out simple (or difficult) math problems and let your child squirt the right answer. This game is an exciting way to teach your little's about math. You can modify this game depending on how familiar your children are with numbers and math in general. Use simple addition, subtraction, or fractions and division to get those little brains going. 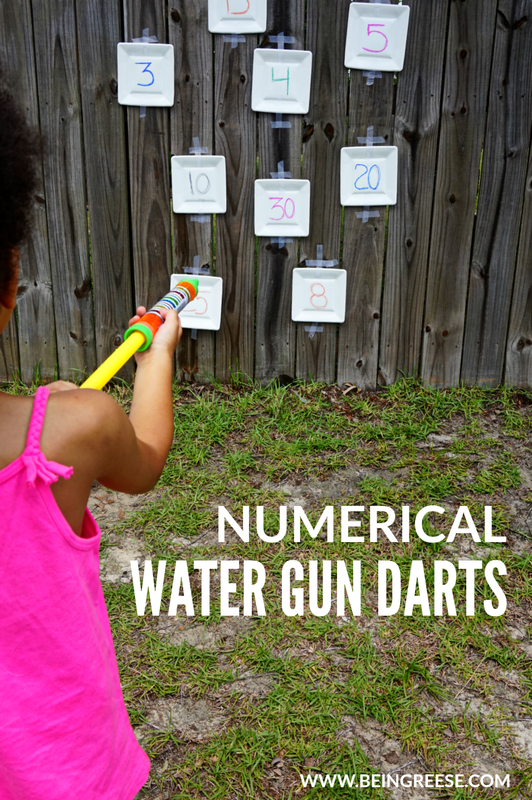 STEM Tip: Once you're done with learning for the day, have a wet & and wild water gun fight! 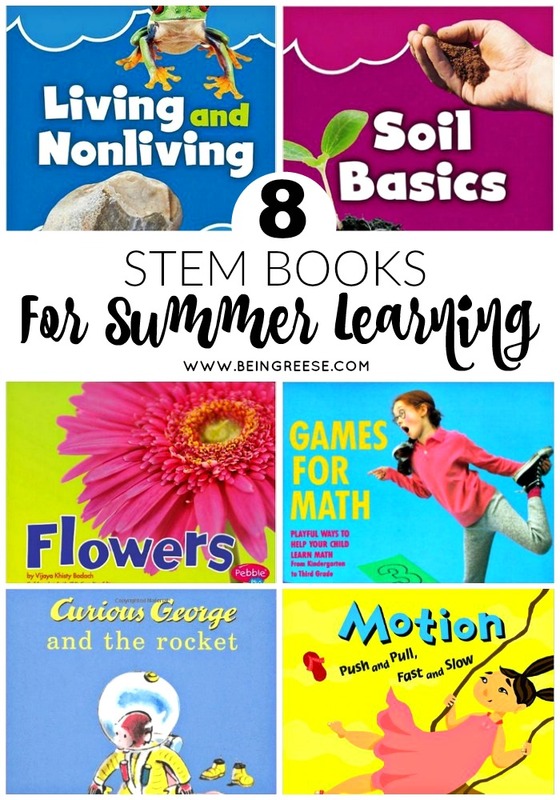 Now that you've gotten good and messy, here are some books that will help teach your children about the wonders of STEM. 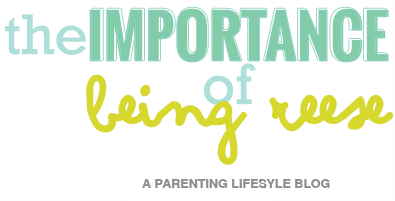 Learn the difference between living and nonliving. This simple picture book will help your littlest learners distinguish the difference between living and nonliving organisms. Soil is an amazing substance. A rich and complex mix of minerals, air, water, and microorganisms, soils forms at the surface of land and comes in many types. This picture book will help introduce your children to the basics of soil. George is a good little monkey. But he's very curious. When he's given the opportunity to have a ride in a rocket and become the first space monkey, he can't resist. Did you know there are over 400,000 plant species across the world? This picture book will teach your children everything they need to know about flowers, including the most popular types and how to grow them. The best picture book to introduce science to children of all ages who love puppies. With rhyming riddles and artful illustrations, it inspires little tykes through teenagers to learn about the elements and the world of atoms. Even parents enjoy learning something new. This book will help you explore the concepts of motion by learning about movement, speed, force, and inertia. 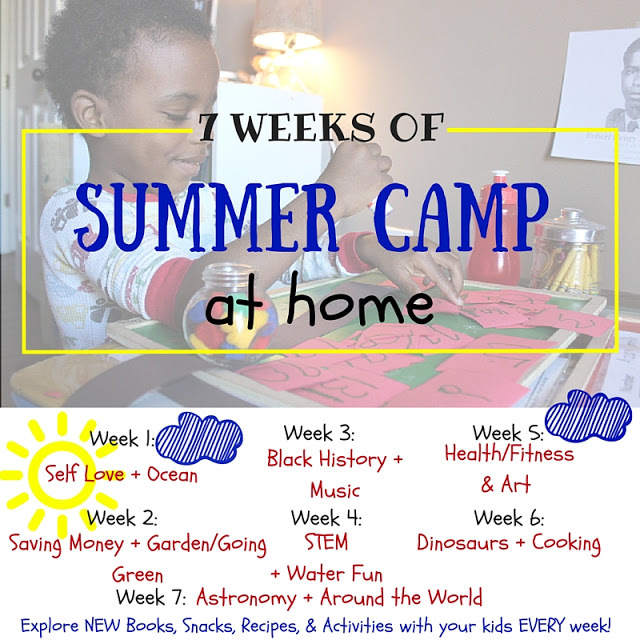 Looking for more summer learning ideas, check out these other crafty ideas from the rest of my summer camp crew! 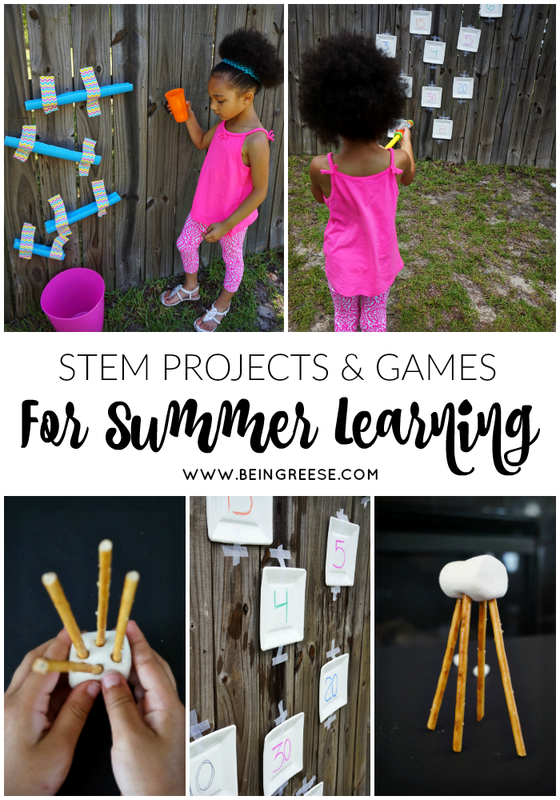 These are such great ideas for keeping kids busy during the summer learning AND having fun! Thanks! I hope you're able to recreate these! My boys would love all of these activities! 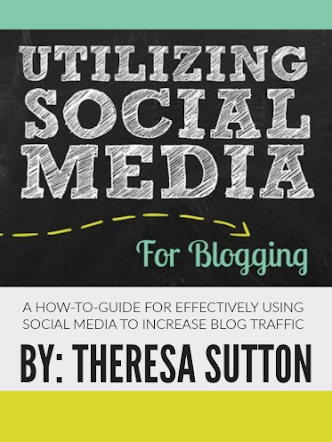 It is so hard to come up with things to do every year, so this is a great resource. You're so welcome! Thanks for reading! Neat ideas for enforcing learning over the summer! They sure are! Be sure to check out the rest of the series for more summer learning projects! 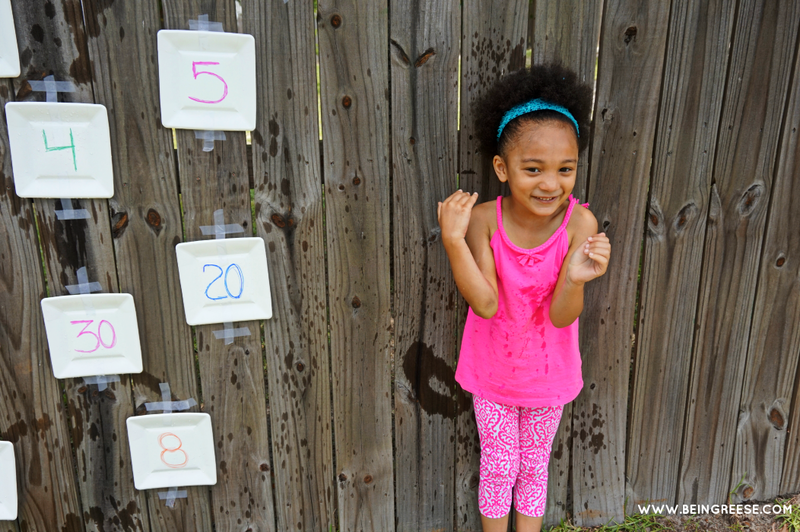 How creative to have math problems be solved via water play outside. I knwo what we're doing tomorrow. Yes! It's a fantastic way to get the kiddos interested in math durning the summer. Fantastic ideas to create a fun summer, while still learning in creative ways. Well done. Thanks Michelle. 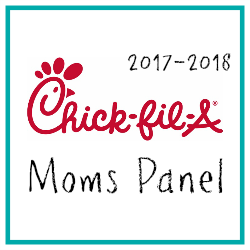 I hope you're able to try these with your kiddos this summer! so fun! my boys would love all of these. Very fun and good for learning too! Pinned to try soon! These are some awesome things. I'm already sick of hearing the dreaded "I'm bored" so making these while keeping my kids learning is such a great idea. These are all such awesome ideas! I can't wait to try them out with my kids. I have been terrible at keeping them doing educational stuff this summer. Such fun ideas for the kids. 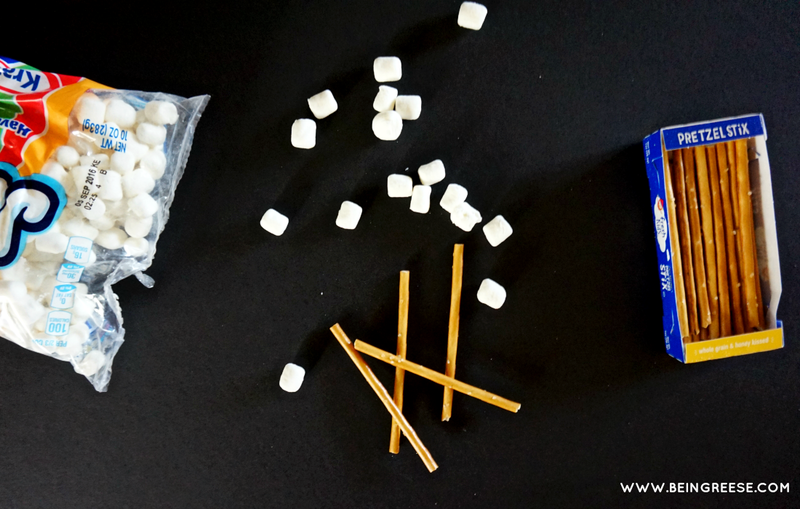 My nephews would have a blast with the marshmallow and pretzels engineering project! These are all great! I will be keeping this and using it when I am in need of some fun new games for my little ones. Thank you! This is such a fun idea!! 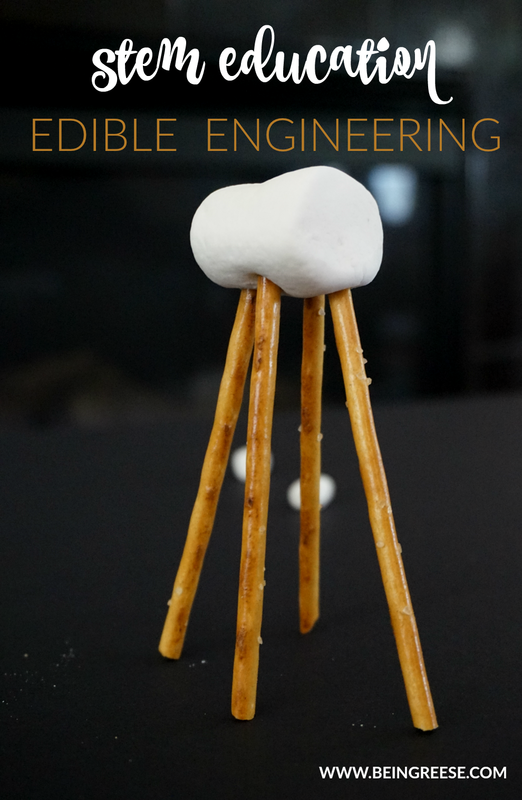 I've never thought to make engineering fun and edible, but it's fantastic! What fun ideas! Pinning to try with my son during his next track out in August. What fun ideas! 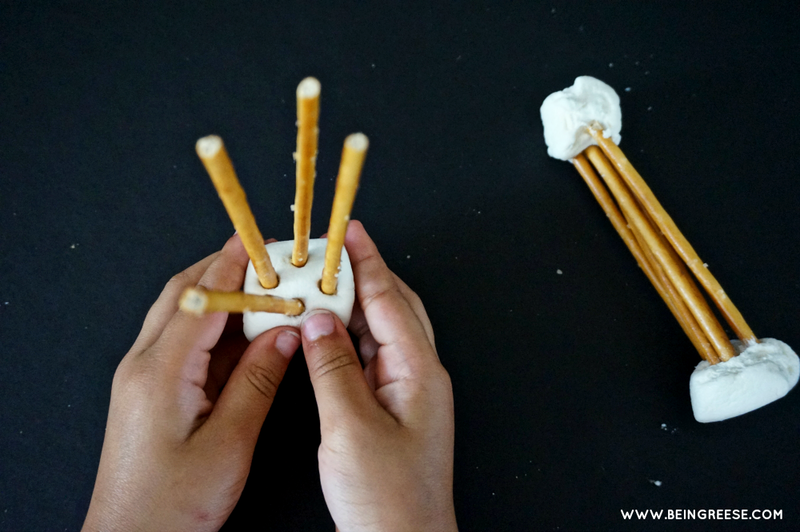 Nothing like pretzels and marshmallows to get kids creating. And she's ADORABLE!